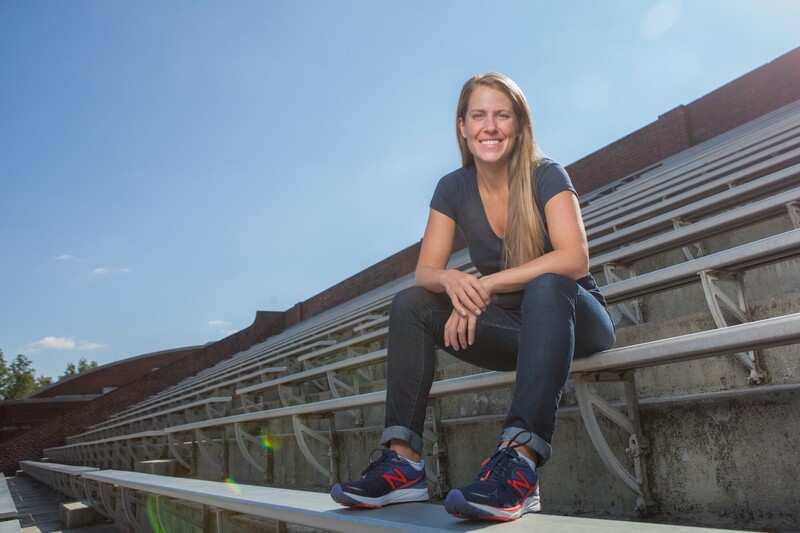 Withings talked with Jen Miller about her new memoir and the slow bloom of her healthy affair with a sport she once wouldn’t bat an eyelash at. Read on to learn how hate turned to love, how the activity carried her footfall by footfall through difficult times, and how her time spent in sneakers finally helped her hit her stride as an adult. Author Jen Miller, pictured, was vehemently “anti-running.” She thought it was unbearably boring. In her new book, she described her feelings for the activity this way: “I detested running growing up, though ‘detested’ might be too kind a description. How about loathed, despised, hated with the burning of a white hot fire?” And yet, the title of her book? Running: A Love Story. After the 5K, Miller thought she’d likely jog now and then as part of her fitness routine but nothing more. Then, in a short space of time, her boyfriend broke up with her, she bought a new home, and her grandfather died. In the aftermath of this personal upheaval, she began attacking longer distances and training for a 10K as a form of therapy. Running helped her through her grief for her grandfather, pushed her through the anger and sadness of her breakup, and helped her cope with the stresses of adulthood and homeownership just as the recession hit. Eventually, and for the first time, exercise became about taking good care of herself. In college, she’d exercised and eaten, as so often happens, to fit a culturally-imposed body ideal. While still mired in the painful relationship that inspired her first 10K, her diet and exercise habits veered dangerously close to an eating disorder. But since then, running has evolved into a dependable, comforting, supportive life raft. She’s happily in a relationship now, but she’s completely committed to running – for herself. Poised to be a runaway best seller? 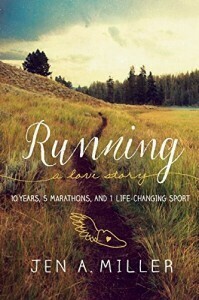 In her honest, engrossing book, Miller describes how she went on to meet bigger challenges in running and in writing over the next few years. She tackled more 10K’s and half marathons. She’s run in five full marathons, including New Jersey, Boston and New York. Her freelance career took off, with her work appearing regularly in The New York Times, The Philadelphia Inquirer, and Runner’s World, among other publications.